Shampoos we generally contain surfactant. scalp care program were born to prevent scalp trouble. a bad ingredient inside shampoo. 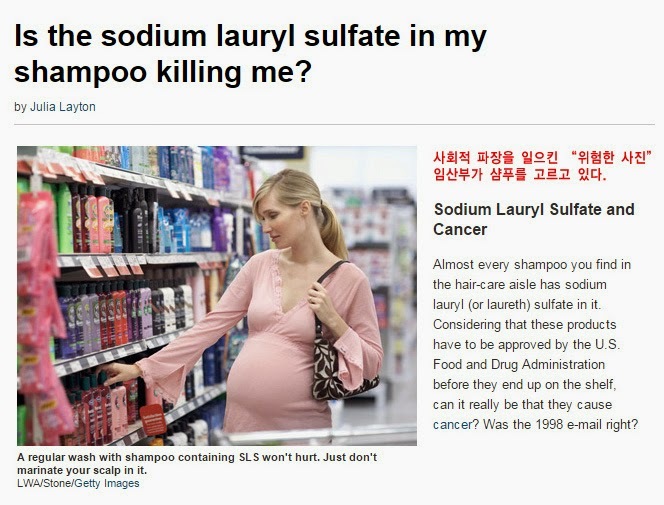 but shampoo contains SLS, which damages a person’s scalp and hair. for us to use shampoo for scalp and hair. This scene shows a pregnant woman choosing shampoo. A movement for not using shampoo is popular in Korea and throughout the world. paying their own money to put toxic SLS on their hair. Are they clever enough to exceed “shampoo companies’ marketing”? So what to use then ?